At first I thought you made all crosshairs different but after tested most of them this is the only one that's not exactly at the middle of the screen as seen in the picture above. So basically if you aim for the head you'll almost always hit them square in the armor. It's so frustrating how many scopes are way off. Use the 7x on the insurgent autosniper with a lasersight. 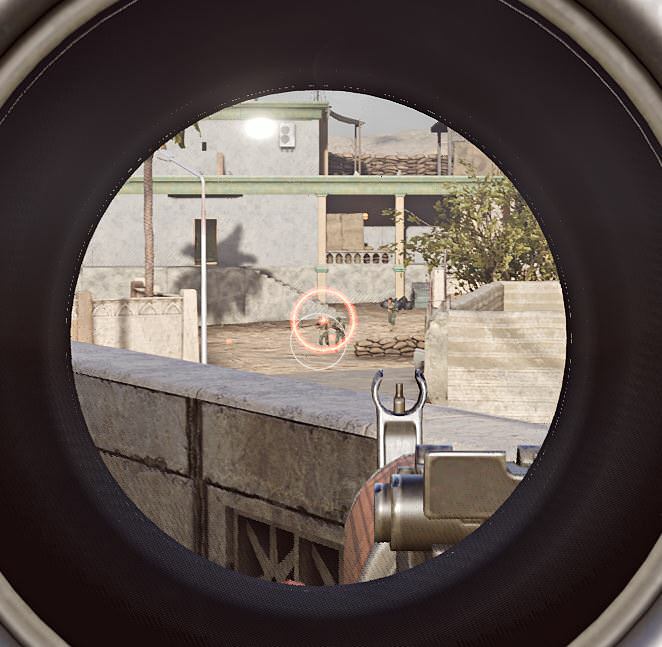 You'll see that the lasersight is significantly lower than the center of the crosshair. PK AS's sight have been misaligned on every "public" build of this game.